Rheumatoid Arthritis can affect any of the joints in your body, including the ones in your leg. There are medications and treatments available, either over the counter or prescribed by a doctor, that can help to reduce the painful symptoms of rheumatoid arthritis. Knowing some options for rheumatoid arthritis leg pain treatments can be useful for individuals with the condition. 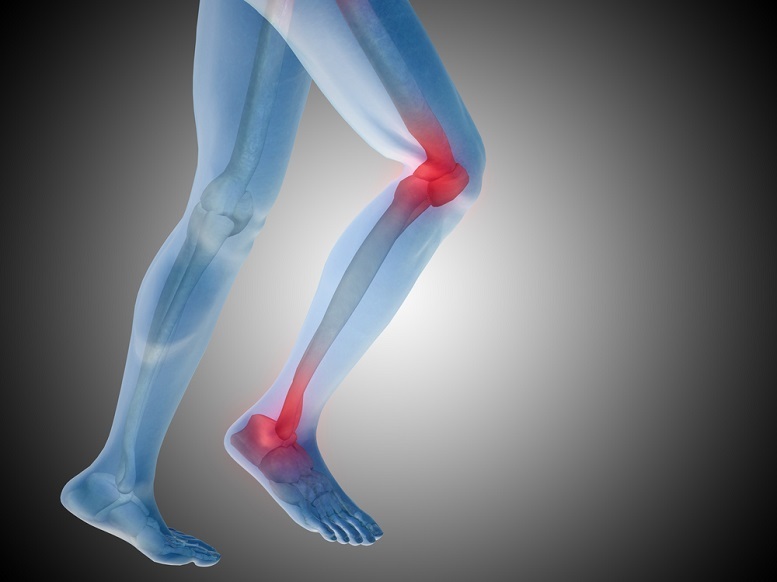 Anti-inflammatory medications can help reduce inflammation in the legs. Similarly, medications that reduce pain, such as aspirin and ibuprofen, can help reduce inflammation and pain experienced. These types of medications include disease-modifying anti-rheumatic drugs, which work by slowing down the response of the immune system. Ultimately, these can help to prevent some damage to the joints, but will not cure your rheumatoid arthritis. These medications are available as pills or injections. And it is important to only use these for a short amount of time. Talk to your doctor to determine which medication would work best for you and how long your treatment should be. Side effects of these types of medications include nausea, diarrhea, hair loss, mouth sores, and drowsiness. Steroids can also be put into the same category as disease-modifying anti-rheumatic drugs. The most common side effect of steroids is an adverse effect on the immune system. So far, no data has proved that any specific diet will help to reduce the pain associated with rheumatoid arthritis. There is, however, some evidence that omega-3 fatty acids could reduce inflammation. Changing your diet to include more omega-3 may help you with your rheumatoid arthritis. You can find omega-3 in cold water fish and fish oil caplets. Talk with your doctor before you decide on any of these treatments. Together, you would be able to choose the best treatment option for your specific case of rheumatoid arthritis. Remember to always take any medication exactly as your doctor or healthcare professional directs.